With a simple sound, this spider moves his head and legs, lights up his red eyes and creates terrifying noises. Sound Activated! Measurements: 3.5'' L x 49'' W. Requires 3 AA Batteries (not included). 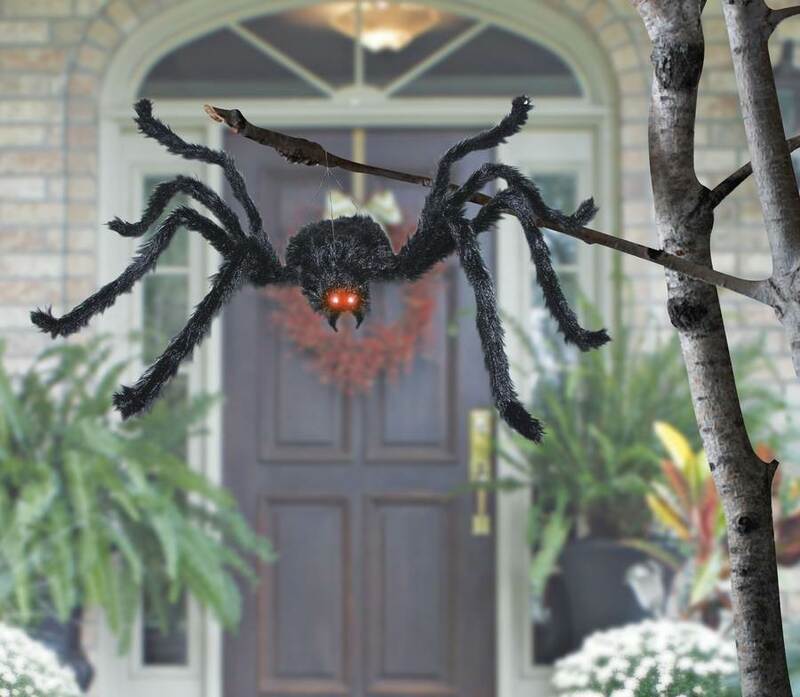 This spider is great, sure to bring on the nightmares in the younger trick or treaters! !